While the unveiling of Madame X was a scandal that tarnished both the sitters' and artists reputations'. Today the portraits' flawless technical skill and ground-breaking composition have caused it to be hailed as a masterpiece. It is a skillful psychological portrait of a wealthy socialite who daringly displays her sexuality - but it is also somewhat removed both emotionally and compositionally from the viewer. The difference between Madame X's critical reception today and when it was unveiled in 1884 is as wide as the gap between the post-modern world and the Victorian era. The context of the time period is the key factor. Today, Madame X is afforded much critical acclaim as it and its preliminary drawings hang in world-renowned museums and the assertive, mysterious title makes some consider it the archetype of a modern woman. However, back in 1884, its appearance at the famous art exhibition, the Salon, caused a scandal of epic proportions. It would be hard to overstate the outrage of exhibition-goers in 1884. The portrait caused a scandal almost from the moment the doors were open. Madame Gautreaus' form-fitting black dress with its plunging neckline and hanging strap were deemed "flagrantly insufficient. " The composition was unusual for the time period but critics found that almost beside the point. Madame Gautreaus' family tried to remove the painting from the Salon themselves but were prevented from doing so. 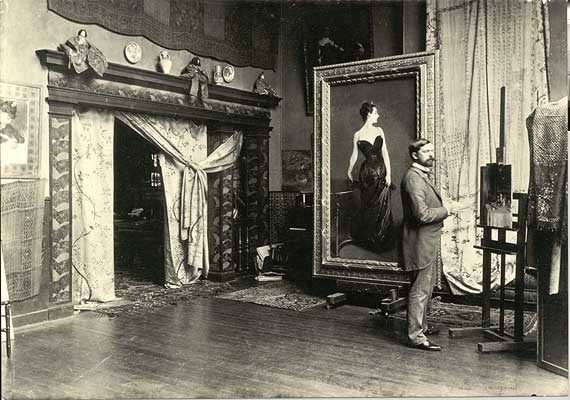 Sargent removed Madame X from the exhibition himself out of fear that the family would try to destroy it. The night he did so Gautreaus' mother made a tearful visit to him in his studio. Perhaps because of this or the dreadful reception of the painting or a combination of both, Sargent made the one change he would ever make to any of his exhibited works: he altered the strap so that it hung upright instead of down the girls' side. This was the one time he ever changed a portrait out of deference to critics. 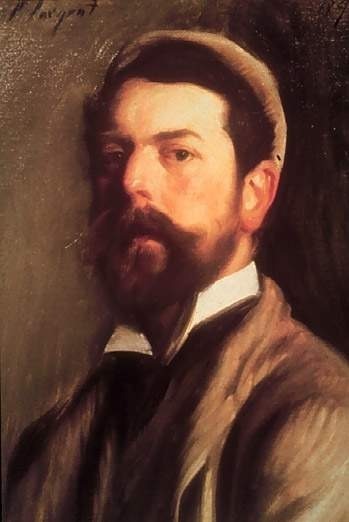 During his early years, Sargent was criticized for being too avant-garde, in his later years of stodginess. However, there is some evidence to suggest that there was more to Paris' scandalized reception of Madame X than her décolleté dress. Because of the civil war and its aftermath, many Americans had fled the United States for Europe. Their presence in higher European social circles was thought of as an American appropriation of French culture on French soil and was increasingly resented. The year before, in 1883, the American import tax was raised, a move that the French considered hostile including the French art world, whose paintings were also subject to this tax. Leading newspapers ran articles with lines such as: "We will have to respond ... by closing the doors of our art shows to the artists of a country that does the same to our artists. " In this atmosphere, many might argue that it can't be a coincidence that two of the most prominent Americans in Paris, Sargent and the Louisianan of French descent, Amelie Gautreau, were implicated in a scandal that turned so vicious. By the 1890s, a new era that celebrated fashion and freer social mores was in swing. Sargent began to seem daring in a stylish way - a charge that critics too often forget immediately after his death, when his paintings were dismissed as a stodgy relic of the Gilded Age. As time went by, it was hard for viewers to see what the fuss was about, especially since the original hanging strap was not common knowledge. Instead, viewers were able to look beyond the scandal and see how flattering the portrait was to its subject. This caused Sargent to begin showing the painting in public again. Starting in 1905, the painting was exhibited alongside Sargents' other works in a traveling exhibition. 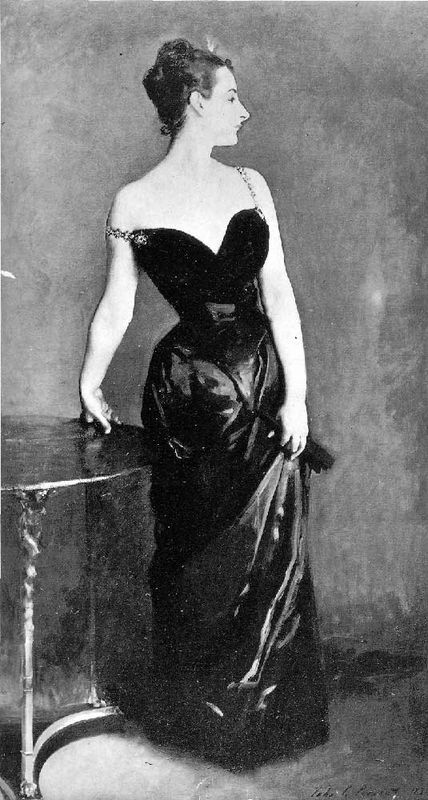 In 1916, the Metropolitan Museum of Art offered to buy Madame X for the then pricely sum of 1,000 pounds. Sargent agreed and the painting has been enjoyed by museum-goers ever since.